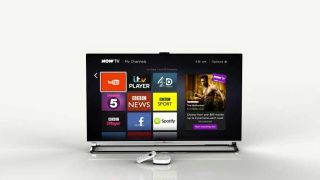 The Now TV box has been updated with the YouTube app, bringing yet more content to the low-cost streaming box from Sky. Although you might be surprised that the YouTube app wasn't already on the boxes, it has now joined the major terrestrial catch-up services, Facebook, TED talks and Flickr, alongside Sky's paid-for Now TV streaming services. Now TV has been a hit for Sky, as it looks to build its business beyond its traditional satellite platform. The Now TV service offer Sky's premium content for streaming through limited time subscriptions, including movies, major television shows and, of course, sport.